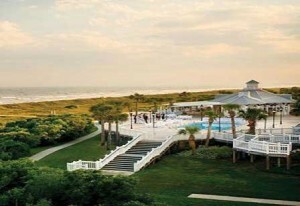 Nestled on the northern tip of Isle of Palms, Wild Dunes has become South Carolina’s premier oceanfront resort. But it wasn’t long ago that the 1600 acre tract of land enjoyed today by residents and guests alike was home to Indians who roamed the island to hunt and fish, and pirates who, legend has it, buried vast treasures here under ancient oak trees. Wild Dunes has quite a colorful history. The famed 18th hole of the Wild Dunes Links golf course played a big role in the Revolutionary War when Lord Cornwallis’ command of 2000 landed there with the plan to cross Breach Inlet to Sullivan’s Island to attack Fort Moultrie from the rear. The English were met and held at bay by a force composed of 600 North and South Carolina regulars; a company of militia; and a company of Catawba Indians. Not a single soldier crossed over to Sullivan’s Island that day. It was America’s first major victory in the South. Just 10 minutes from Mount Pleasant, 20 minutes from downtown Charleston and 30 minutes from the Charleston International Airport, access to Wild Dunes is quick and easy. A century later, when war divided North and South, efforts to pierce the northern blockade of southern ports resulted in the ramming of the Confederate submarine Hunley by a Federal warship in the the waters off the Isle of Palms. The northern ship, the USS Housatonic, sank immediately while the Hunley went down later due to severe damage caused by explosions resulting from the collision. The event was the world’s first successful submarine battle. The remains of the Hunley remain at rest off of the coast. The anchor belonging to the Housatonic is exhibited at the entrance of Wild Dunes’ Reception Center. 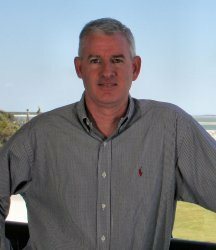 The development of Wild Dunes began in 1972 when Finch properties purchased the site from J.C. Long. It was completely undeveloped and remained in its original, natural state. Except for a few campers, explorers, and beach combers, the land was unused, having never been cleared or farmed. 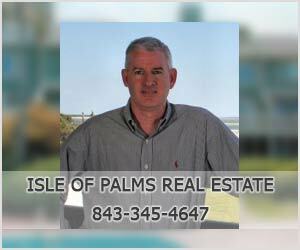 Finch Properties sold the land to the Sea Pines Company of Hilton Head Island, a developer of planned communities. They were responsible for the planning, zoning, and development of the site, and named it the Isle of Palms Beach and Racquet Club. 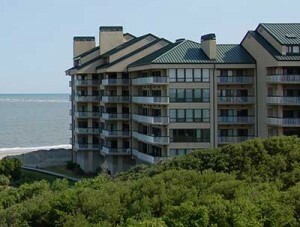 Sea Pines sold the resort in November 1975, when Wilbur Smith and Associates became a 50 percent investor with Finch Properties in the project. They opened their first offices in the Isle of Palms Motel which stood across from the present site of Red and White grocery store. As the resort prospered and grew, the decision to introduce golf into the master plan was given the go-ahead and thus, the Wild Dunes Links Course was created. Designed by Tom Fazio, one of the world’s premier golf course architects who takes pride in protecting environmental landmarks, the Wild Dunes Links Course opened in 1980 and became a world-ranked course by Golf Magazine within 18 months. The prestigious and highly successful Links Course almost immediately became a cornerstone for the resort and residential community. By 1981, the Wild Dunes Links Course had received such high acclaim and publicity that Finch Properties combined the name of the course with the name of the resort, thus becoming Wild Dunes Resort. The year 1983 marked the purchase of the resort and its world-class amenities by Wild Dunes Associates. Wild Dunes reached a pinnacle in 1988 when Golf Magazine awarded Wild Dunes “The Gold Medal” which placed “Charleston’s island resort” among the top-12 golf resorts in America. Additionally, the United States Tennis Association selected Wild Dunes as the site of the U.S. Men’s Clay Court Championships which received exposure on national television. On September 21, 1989, the island was visited by a force of nature named Hugo, one of the most destructive hurricanes ever to strike the United States. The eye passed directly over Isle of Palms and Wild Dunes. Just as the South has enjoyed a long history of coming back stronger than ever after disasters such as wars, earthquakes and major fires, Wild Dunes quickly recovered from Hurricane Hugo. In February, 1990, Destination Wild Dunes was formed as an affiliate of Destination Hotels and Resorts, Inc., the property management division of Lowe Enterprises, Inc., to purchase the on-site rental management and conference business at Wild Dunes. In 1993, Destination Wild Dunes purchased the Links Course and its Clubhouse, consolidating the resort under one ownership. The opening of the Isle of Palms Connector in August 1993 added to the property established at Wild Dunes. The Grand Pavilion complex, in the midst of construction at the time of Hugo, is long complete with its Victorian-style boardwalk surrounded by the rainbow row-inspired Boardwalk Homes. Designed so that each four-bedroom home may be divided into three self-contained “hotel-style” rooms with a one-bedroom suite, these unique homes were the beginning of the “final phase” of development for Wild Dunes Resort. The latest chapter to this fascinating history of Wild Dunes is the Boardwalk Inn. Opened in January, 1998, and designed with a four-star, four diamond ranking in mind, The Boardwalk Inn adds to the already outstanding amenities and facilities of Wild Dunes Resort. Just 10 minutes from Mount Pleasant, 20 minutes from downtown Charleston and 30 minutes from the Charleston International Airport, access to Wild Dunes is quick and easy as yet another chapter unfolds its rich and colorful history.